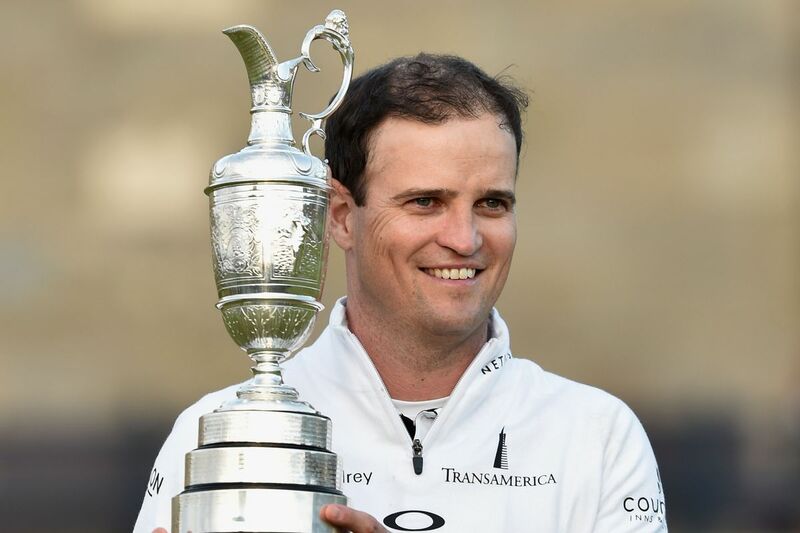 Zach Johnson is a two-time major championship winning golfer, whose winning score at the 2007 Masters Tournament, tied the record set by Sam Snead in 1954 and Jack Burke Jr. in 1956. The Iowa native has since that time gone ahead to represent the United States national team at the World Cup and a number of Presidents Cup and Ryder Cup events. On the 24th of February, 1976, in Iowa City, Iowa, Dave and Julie Johnson welcomed their first child, Zachary Harris Johnson. His parents went on to have two more children which they raised in Cedar Rapids, Iowa. While growing up, Johnson was very keen in participating in everything sports as he was said to have excelled in playing baseball, basketball, football, and soccer. It was however until he turned 10 that Zach Johnson began to play the game of golf and never looked back. He developed his skills at Elmcrest Country Club before enrolling at Regis High School where he continued to play the game, featuring as number-two on the school’s golf team. As a high school sophomore in 1992, he notably led his school to the Iowa 3A state championship. After graduating in 1994, Johnson went on to attend Drake University in Des Moines, Iowa where he was again the number-two player on their golf team. He helped his team to two Missouri Valley championships and three NCAA regional meets before choosing to turn professional in 1998. Zach Johnson played on the developmental tour circuit for a few years before eventually making it to the PGA Tour in 2003. He enjoyed his first victory just a year later at the BellSouth Classic but however struggled to maintain a high level of consistency going into the next few months. It took Johnson until 2016 to find his game again as he recorded two runner-ups and one third-place finish, as well as other impressive showings that year. He carried on his decent string of performances into 2007 where he won his first major title at the Masters Tournament in Augusta. Zach Johnson’s Masters’ win shot him up the world rankings and from that time onwards, he never lost the sweet taste of victory. He has made sure to win a competition on the tour every year, except in 2011 and from 2015 to date. Some of the competitions he has won are AT&T Classic, Valero Texas Open, BMW Championship, and The Open Championship. 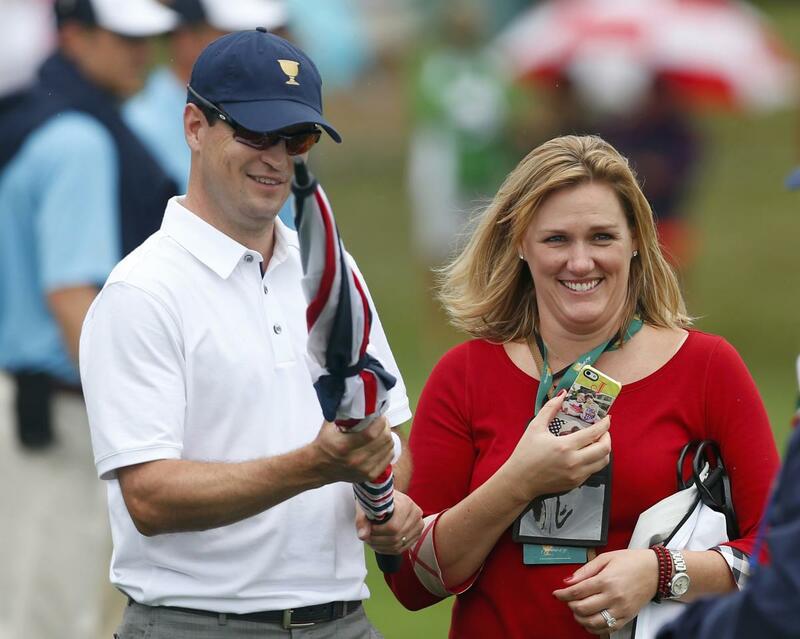 Kim Barclay is Zach Johnson’s better half. The couple, who have known each other since 2000, began dating after making small talks in the parking lot of the Florida apartment complex they both lived in. Barclay was said to have initiated the conversation that sparked a three-year romance which culminated in them exchanging vows at Amelia Baptist Church in Fernandina Beach, Florida, on the 8th of February, 2003. They have since that time started a family that currently includes three children; sons Will and Wyatt, and daughter Abby Jane. Prior to meeting and marrying her husband, Barclay attended Stetson University in DeLand, Florida where she graduated with a bachelor’s degree in sociology. She then went on to take a job in social services in Orlando, working as a Program Director for AmeriCorps. Mrs. Johnson, however, later quit her job in order to fully support her man on the PGA Tour. She then went on to take up the position of Vice President on her husband’s non-profit organization, The Zach Johnson Foundation, which does a lot of charity work specifically for children and families in Cedar Rapids, Iowa. Zach Johnson’s total career earnings from golf, as of 2018, is reported to be just over $44 million. But according to Celebrity Net Worth, the two-time major championships winner’s net worth is estimated to be $25 million. Zach Johnson stands alongside Phil Mickelson as the only players to have twice shot a round of 60 on the PGA Tour. He is also only the sixth golfer to win majors at Augusta and St. Andrews. His height is listed at 5 feet 11 inches (1.80 m) while his weight is 160 pounds (73 kg). Johnson joined his wife just before their marriage to attend the First Baptist Church even though he was raised a Roman Catholic.